Sangam volunteers are responsible for the delivery of Sangam’s international events. 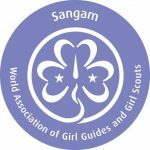 They run sessions on Indian culture and the latest WAGGGS developments, and lead tours around the local neighbourhood and Pune city centre. Sangam volunteers also contribute to community leadership work at Sangam’s Community Partner organisations; support the day-to-day running of the World Centre; and, throughout all these tasks, serve as representatives of Sangam and the Sangam experience to the many international guests who visit.